Come dress to Impress - Dazzle Us - or Make Us Laugh Hysterically! Prizes for Individuals, Couples, and Groups. Renew Your Vows for Valentine’s Day - How Romantic! Each 10K,5K,1mile participant receives a high quality t-shirt, an awesome finishers medal, CONTINENTAL Breakfast, Photos with Hearty Sweets, and beer Garden at Mcp's. 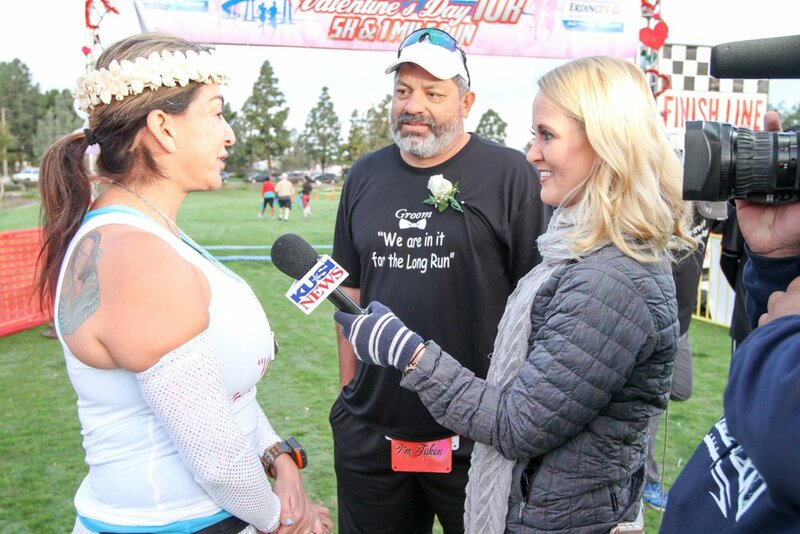 The Coronado Valentine's Day 10K, 5K & 1 mile run will be a Match Making event this year! At registration you will pick up your choice of bib: Available, Taken, or It's Complicated. Wear the bib on the run and find others that like to run and do events just like you! Get social at the event and make new friends. New for 2019 - RENEW YOUR VOWS at the Run and PROPOSAL POINT! Show the world how much your loved one means to you! ISLANDER HAND CARVED TIKIS WILL BE AWARDED TO THE TOP FINISHERS IN EACH AGE CATEGORY, MEN AND WOMEN. WHETHER YOU ARE LOOKING FOR A NEW 10K OR 5K PERSONAL RECORD (PR) AND PRIZES OR YOU JUST WANT A GREAT FLAT COURSE THROUGH BEAUTIFUL CORONADO... THIS COURSE IS FOR YOU. THIS EVENT WILL SELL OUT SO REGISTER EARLY AND COME OUT TO CORONADO ISLAND FOR A BEAUTIFUL RUN ALONG THE BAY AND PAST HISTORIC HOMES.